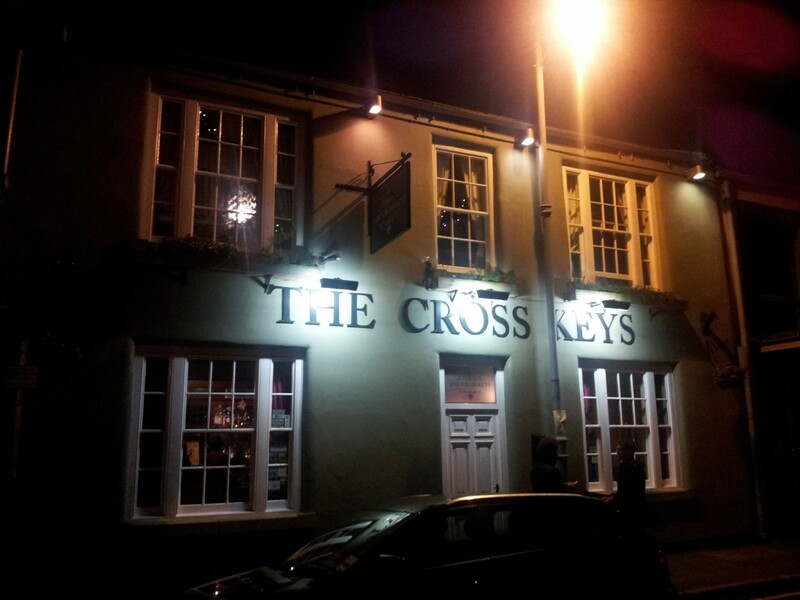 Even with the massive name across the front, The Cross Keys can still be hard to spot, thanks to the dark street it sits on. 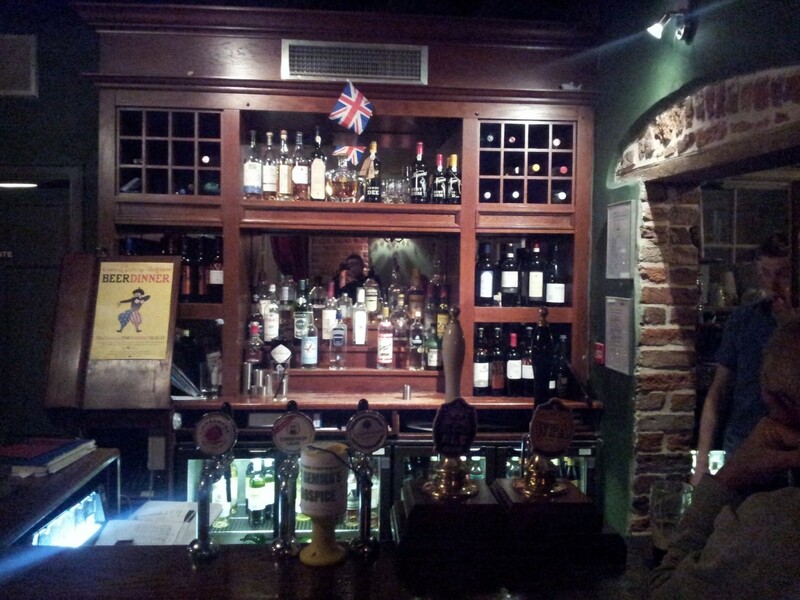 This Holbeck favourite is owned by North Bar but has a much more traditional British pub feel to it. The exposed brick, wooden beams and fireplace lend a warm and cosy feel, though it can feel a bit claustrophobic when it’s crowded. (And it often is!) That’s less of a concern in nice weather, however, as there is a spacious beer garden out the back. 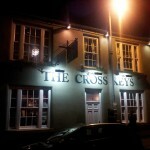 True to form of the North brand, The Cross Keys’ taps and bottles will delight the beer connoisseur, offering four weekly rotating cask ales along with a beautiful variety in the fridge. Their American selection is impressive: Brooklyn, Flying Dog and Goose Island, among others. Also not to be overlooked is the number of Belgian imports (Vedett, Chimay and Orval) and bottles from further afield such as Australia (Little Creatures and Cooper’s). The gastropub menu is inviting, if a little pricey. A special feature is the “Feasting,” an addition to more traditional Sunday Roasts. For between £100 and £150, you can get a whole pork leg, leg of lamb, or rib of beef to carve right at your table and share with 10 of your friends! 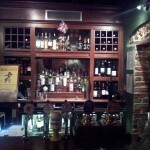 A poorly lit picture of the beautiful bar and its beautiful ales. The range of beers alone is enough to keep us coming back here, and the warm atmosphere and high-quality music just pile on the bonuses. It’s definitely worth keeping an eye on their twitter or website for updates about latest ales and monthly tasting events. 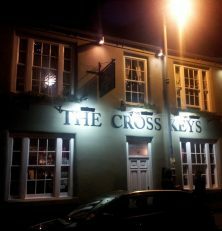 Finally, Industrial Revolution buffs will want to take note of the story that James Watt used The Cross Keys as a location to get Matthew Murray’s workers drunk so as to steal trade secrets! Shame on Mr. Watt. I think the place has a hint of a Belgian pub too. To start with the positives- regularly changing beers and staff that are bright and take time to talk to you. It has a nice atmosphere and a real fire too. However the seating is badly thought out and there never seems to be enough space. And if you are about to finish your drink- without fail someone comes around asking if you want another. Whether it’s your first or your tenth. I guess people may like this if its interpreted as ‘table service’ however I find this infuriating and pushy. They also don’t pull a pint with a decent head. Not in an old man way, but verging on a full inch of head sometimes. Also I was once undercharged by 25p and rather than being cool about it the barman asked me what the person serving looked like. This gives you an indication of the ruthlessly money-oriented North Bar franchise.